service – Horace Orr Post 29, Inc. 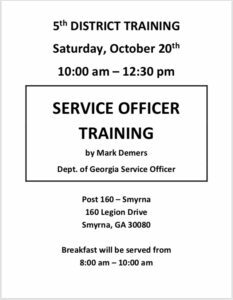 The Community Assistance Panel for Camp Lejune will be in Atlanta on April 24th at 9AM. Location will be Room 1A/1B, 1825 Century Blvd NE, Atlanta, GA 30345. 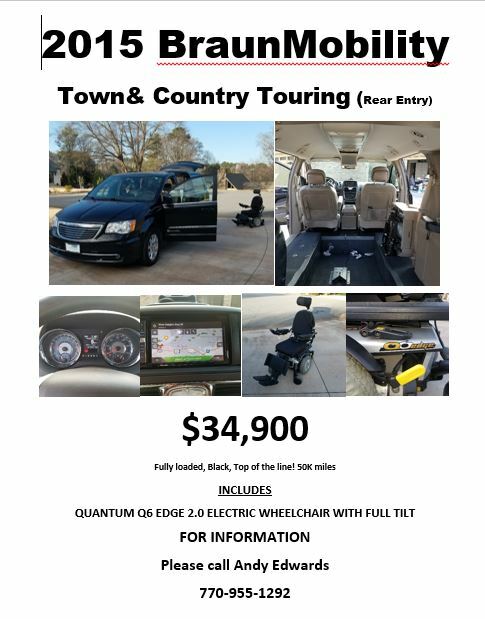 The family of a deceased Marine is selling the van and wheelchair they used to aid his mobility. They would like to sell the items to another veteran in need. See pictures and contact information on the flyer. Post 29 posts this for informational purposes only. No warranties or guarantees. 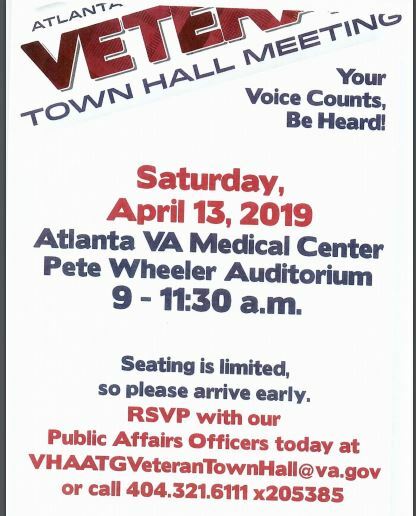 Attached is the flyer for the next Town Hall at the Atlanta VA Medical Center (Pete Wheeler Auditorium), 1670 Clairmont Road, Decatur, GA 30033 from 9-11:30 am. If you wish to attend RSVR with VHAATGVeteranTownHall@va.gov or call 404-321-6111 x205385. The Atlanta VAMC is the parent organization for all the outpatient clinics in this area. If you don’t know what hospital your clinic belongs to, please click on this link https://www.va.gov/directory/guide/state.asp?dnum=ALL&STATE=GA , then click on the clinic you use and it will tell you at the top of the page which hospital is the parent organization. The Coast Guard continues to serve through the government shutdown, but unlike other services, they are not being paid. The American Legion is helping. Read all about it here. The SAL will be collecting winter coats, hats, and gloves for needy veterans. United Military Care will have a collection box in the Social Quarters near the men’s room. Toy’s are coming in on a daily basis now. We are swamped with work to get them sorted for distribution. Please Help! This is the Cobb county location and it is within 3 miles of American Legion Post 29. If you have an hour or more available in your day, please contact Olga T Noel. Olga has been sorting toys and most of the time she is the only one there doing this job. We need help to get it all done by 21 December. Thank you for your consideration. Be advised this is a warehouse type environment (i.e. cement floors, wear comfortable shoes, it can get cold with the shipping bays open to receive toys). If you are into “counting steps” you will get a whole lot in but the work is gratifying. If 1 or 2 people want to come help, they can just drop in. If 4 or more volunteer, please call to schedule a slot. Too many at a time gets to be chaotic and counterproductive.